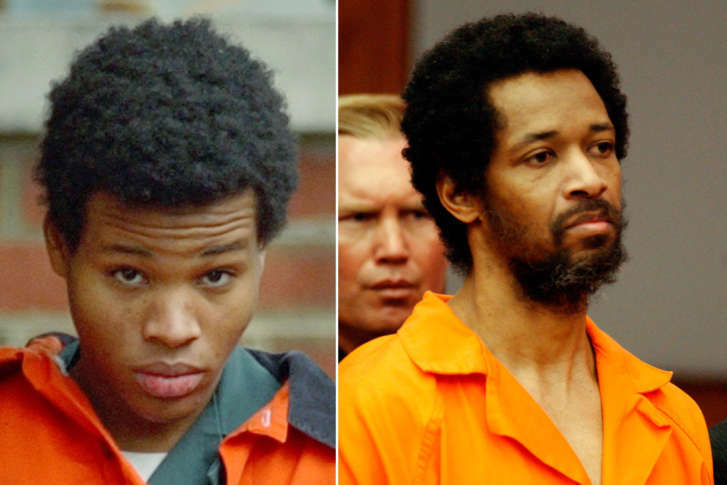 Lee Boyd Malvo, who was sentenced to life in prison as a teenager for his role in the D.C. sniper shootings, has won the chance to have some of his sentences changed in Virginia courts. WASHINGTON — The man serving multiple life sentences for his role in the D.C. sniper shootings will have the opportunity to have some of his sentences reconsidered. A federal judge based in Norfolk, Virginia, on Friday ordered new sentencing hearings for Lee Boyd Malvo based on a 2016 U.S. Supreme Court decision that gave constitutional sentencing protections to juveniles. Malvo was 17 when he was arrested in 2002 for the string of shootings that left 10 dead, several wounded and terrified the region. The new sentencing hearings were ordered on two capital murder sentences in Chesapeake Circuit Court plus one capital murder and one attempted capital murder conviction in Spotsylvania County Circuit Court. The case out of Chesapeake County stemmed from charges that originated in Fairfax County, but the case was transferred. A similar challenge to his life sentences in Maryland is due to come up in a hearing June 15. Virginia does not offer the chance of parole to felons. John Allen Muhammad, Malvo’s accomplice, was executed in 2009 for his role in the sniper shootings that left many afraid to venture outside or fill up their gas tank. WTOP’s Amanda Iacone contributed to this report.